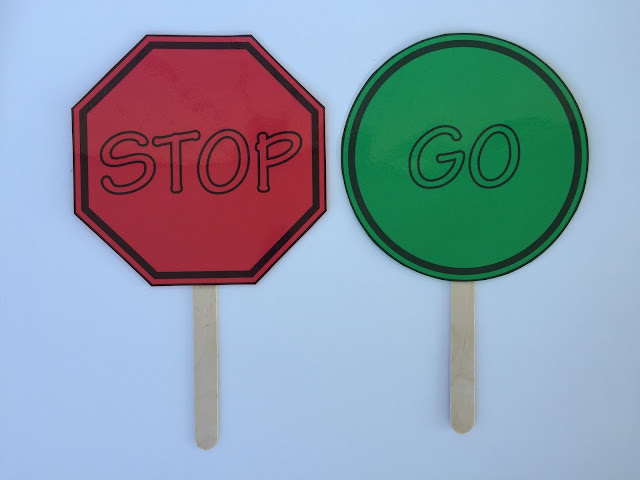 I printed the "Stop" sign on red card and the "Go" sign on green card stock found HERE from lds.org (omitting the "Slow" sign). Cut them out then laminated and mounted to a stick. Definitely reusable for another activity with any song! As each song is sung, the "Go" sign is held up (all words I use when I post words will be put away for this activity and only brought out if help is needed for memorization). Once we reach a spot where the kids are fumbling on phrases, words, mixing up verses, etc. I'll hold up the "Stop" sign and we'll stop, review, repeat, etc. We'll "Go" on once the trouble spot(s) have been mastered. A pretty simple activity, but one that will definitely help reinforce the words! 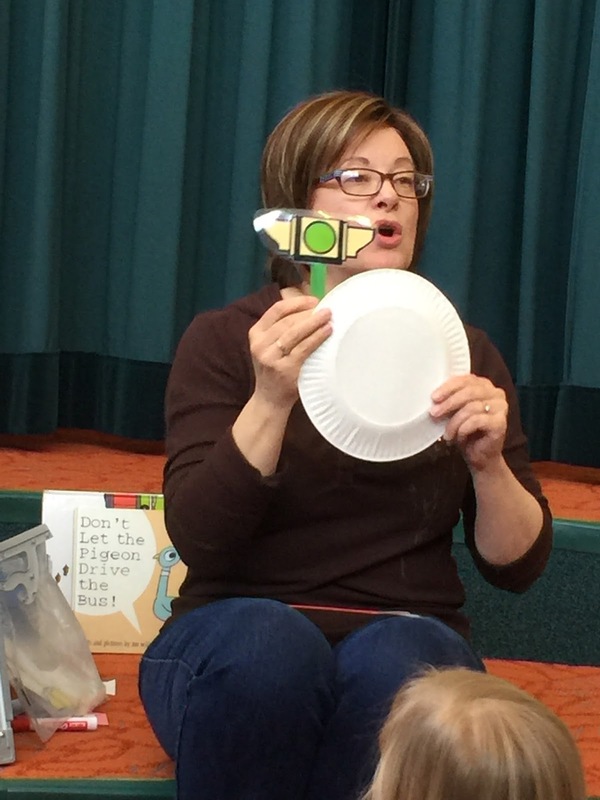 If you want to take it one step further, have the kids "drive" as you sing. You just give them a paper plate to hold! Make sure they stop "driving" when you hold up the Stop sign. Next week will be "Dynamics Zone" where I'm planning on working on the various dynamics in the songs with various road signs. I'm planning on "Spiritual Point" being our 2 weeks of running through the program where I'll use my helps found HERE. Stay tuned! If have more road-related activities, please share for those who have more weeks of preparing for the program!! If your program is coming up soon, check out my Program Helps link HERE to help your primary prepare (including practicing in the chapel)!